This is red sauce. The slow-cooked, rib-sticking Italian-American stew designed to fill you up with equal parts flavor and pride. It's the kind of sauce for which you open up the windows while you're cooking just to make sure that everyone else in the neighborhood knows what you're up to. It's the kind of sauce kids defend the honor of in grade school. * It's the kind of sauce you want your meatballs swimming in, your chicken parm bathed in, and the sauce that you want not just tossed with your spaghetti, but spooned on top in quantities that'd make a true Italian cry out in distress. *"My mom cooks her sauce for 5 hours." "Yeah? Well my mom cooks hers for 6 hours." "Well MY mom cooker hers for 7 hours, and she crushes the garlic with her bare hands!" This is the kind of sauce that restaurants in Little Italy rested their reputations on—back when Little Italy restaurants had actual reputations to maintain. We're talking all day sauce here. The kind of sauce that starts with the simplest ingredients—some canned tomatoes, a few aromatics, some olive oil, and maybe some basil—and alchemically transforms them into something so good that families can be built around it. The kind of sauce that tastes like it took all day to make, because it really took all day to make. And one thing's for damn sure: if I'm going to take all day to make something (or more importantly, try and convince you to do so), then it had better be worth every second of my time and then some. *There's no way I'm going to compete with grandma here. The first question is the most important: what tomatoes do we use? If you're lucky, you can get perfect tomatoes from a farmer or perhaps your backyard during the summer, and if you can, then Daniel has already showed us how to make the best tomato sauce from fresh tomatoes. If, however, you're like most of us, your best bet for good tomatoes is in a can. At the supermarket, you'll see canned tomatoes in a variety of forms—crushed, diced, in sauce, etc—but what you're looking for are whole peeled plum tomatoes packed in juice or puree. While it's possible to find a decent can of crushed tomatoes, the tomatoes packed whole are almost invariably better than those used for crushed or diced tomatoes, and they give you more freedom to chop them to whatever size you'd like. *I can hear you now: "D.O.P. doesn't necessarily mean the best!" And it's true: It's possible to find better tomatoes if you know where to look. But the D.O.P. San Marzanos are readily available and come with a guarantee of quality. I like that. I tried a few different methods of puréeing the tomatoes. A blender or hand blender create a relatively smooth sauce—I like more sizable chunks of tomato in mine. The food processor gives results that are close to ideal, but it's a little messy to clean up. Instead, I decided to roll up my sleeves, put away the machines, and go 100% analog here. Squishing tomatoes through your fingers not only delivers the best texture for a chunky sauce, but it's also fantastically therapeutic. A rough chunky texture like this will cook down into a sauce that still has plenty of body while being fine-textured enough to coat a strand of spaghetti or a good meatball. We're getting a bit ahead of ourselves here though. Before you can add your tomatoes to the pot, you have to start with oil. Oil serves a number of different functions in a sauce. First and foremost, it's a flavor transfer medium. By sautéing aromatics like garlic in oil you break down its cell structure, releasing flavorful compounds, many of which are fat-soluble. These fat soluble compounds then work their way throughout the sauce. Oil also allows you to cook at higher temperatures and is less volatile than, say, water. Many chemical reactions that create flavor don't occur under the 212°F boiling point of water. Oil is an inexpensive, edible medium which can be heated well above this temperature. Finally, fat adds flavor and texture of its own. Some folks will tell you that you should never cook with extra-virgin olive oil, as it ruins its flavor. Poppycock! Yes it's true that some of its flavors will break down. But then again, a neutral oil like canola or vegetable has pretty much zero flavor to begin with. You do the math. Or let me just do it for you: A Lot > Some > None. Sauces made with good olive oil will have noticeably better flavor than those made with neutral oil (of course it doesn't hurt to drizzle some fresh olive oil in at the end as well). Good olive oil does run the risk of burning and turning acrid if you heat it too much(particularly sediment-heavy olive oils), but when making a sauce like this, you're never at risk of the oil smoking (unless you're doing something very wrong). Texture-wise, fat adds a rich, mouth-coating feel to a sauce, both when it's broken out of the sauce on its own, and when it is emulsified with the sauce's liquid phase, making the whole thing creamier. Add a bit of butter in there as well. Butterfat emulsifies much more easily with liquids, and it adds a creamy, fresh flavor to the mix. Some slow-cooked tomato sauces start with both onions and garlic. That's how Vinnie makes his prison sauce in Goodfellas (the garlic sliced thin enough to read through with a razor blade, no less), and that's how my old chef Barbara Lynch of No.9 Park in Boston made hers. Personally, I find the bits of onion in the finished sauce to be distracting, no matter how finely you chop it or how slowly you cook it to break it down, so I leave out the onion. Garlic, on the other hand, is essential, and lots of it. I ended up using a full 2 cloves per can of tomatoes (that's 8 cloves for the whole pot), though I chose to chop it by hand instead of using Vinnie's razor blade trick. I compared hand-chopped garlic to stuff run through a garlic press and grated on a microplane. In many applications, those methods are fine. But here, they both produce garlic pieces that are too small and too moist. Instead of softening and becoming aromatic, it very rapidly burns. Hand-chopped is the way to go. The key with the garlic is to cook it nice and slow to allow its flavor to melt into that hot oil and butter, while making sure the butter doesn't brown or burn. The question of herbs is always a divisive one. Fresh or dried? Parsley? Oregano? Basil? I tried a number of iterations using fresh and dried versions of each in various combinations. I ended up settling on a mix of dried oregano and fresh basil leaves and stems. As it turns out, some herbs are better dried than others. Basil and parsley both taste terrible in their dried forms—like papery, bland shadows of themselves. Oregano, on the other hand, fares just fine. The flavor is a little different from fresh oregano, but it's intense and herbal in its own way, and for my money, is an indispensable element of a good Italian-American red sauce. Why the discrepancy between the herbs? The difference mainly comes down to how the particular herbs grow. Basil and parsley both have thin, delicate leaves and grow in environments where there is plentiful water and little chance of the leaves completely drying out. Heartier herbs from drier climates—like oregano, marjoram, or rosemary—on the other hand, are far more robust. As a consequence, the aromatic compounds within those herbs also tend to be less volatile so that the plants can retain them even as they lose moisture to the atmosphere. The end result, as far as we cooks are concerned, is that those heartier herbs from drier places can hold onto their flavor far better when dried than tender leafy herbs. I tried stirring the oregano into the sauce as it simmers, but you end up with little bits that refuse to soften even after hours of simmering. Instead, it's better to bloom the oregano in the hot fat before the tomatoes are ever added. This allows their fat-soluble flavor compounds to work their way into the oil, which in turn spreads that flavor around the sauce. It also breaks down the oregano sufficiently so that no tough bits remain at the end. Along with the oregano, I also add a big pinch of red pepper flakes. A touch of heat brings out all the other flavors in the sauce. Once the garlic, oregano, and red pepper flakes have hit that aromatic sweet spot (just a minute or so after the oregano and pepper goes in), it's important to hit it immediately with the tomatoes. This will instantly cool the pan, halting the cooking of the aromatics. As for the fresh herbs, a large stem of basil added to the sauce as it simmers adds plenty of flavor (and if you can get your hands on a couple tomato vines, go ahead and throw them in there with the basil). As taste tests have shown time and time again, folks like tomato sauces that are both acidic and sweet. The problem is, tomatoes on their own are not very sweet—far less sweet than I (or most people) like them, anyhow. Let me admit something here: In the past I've been known to spike my tomato sauce with a touch of sugar, a move that annoys hardliners to no end, apparently. I'm not backing down on that stance: adding sugar is a perfectly fine way to add sweetness to a sauce. A perfectly fine way, but not the best way. There are other methods that allow you to add sweetness while simultaneously adding layers of nuanced flavor to the mix. Many folks advise adding carrots to red sauce in order to add that sweetness. I tried grating carrots and cooking them down with the garlic right from the start. It certainly makes the sauce sweeter, but it also makes it taste like carrot soup. A much better approach is to simply cut a carrot into rough chunks and add it to the pot while the sauce simmers. Remember that onion I didn't want to end up in my sauce? Here's where it comes into play: I also added a raw onion in there to give it a touch more sweetness along with some oniony aroma without overpowering it or ruining the texture—a trick I learned from Marcella Hazan's infamously simple (and fantastic) buttery tomato sauce. I brought everything to a simmer, then let it cook for several hours. Wait just a minute, I said to myself. * What if stirring constantly isn't what I want to be doing? Do I dare cross Ray? What if some browning is actually okay? *Well, not really, but it makes for a better story so go with it, alright? The tomatoes cook down for an eternity and then some, until they are as deeply caramelized as a pan of fried sausage." It all makes sense. When you slowly cook a liquid packed with proteins, sugars, and other aromatic compounds (like a pot of tomato sauce), a couple things happen. First and foremost, there's reduction. Water steams away along with a few flavorful molecules that hitch along for the ride, leaving behind a more concentrated base of those proteins, sugars, and aromas. Meanwhile, if the temperature manages to get hot enough, those same proteins and sugars will break down into smaller pieces and recombine, forming hundreds of new flavorful compounds—this process is a combination of both caramelization (the process by which sugar alone browns), and the Maillard reaction (the reactions that take place between proteins and sugars as they brown). It creates an end result that is both sweeter and more complex than the starting ingredients. Too much browning and caramelization and you'd end up with a sauce that tastes too caramelized or worse, burnt. But could some controlled browning help my sauce along? Most browning reactions don't occur much under 300°F or so, while watery liquids (including tomato puree) will boil at around 212°F. It's difficult to get a sauce's temperature much above that point without concentrating its non-water constituents. I tried a few different methods. The easiest was to just forget to stir. Eventually, pulpy tomato matter sinks to the bottom of the pot and becomes so thick and dry that it can brown. Unfortunately, it's a very difficult browning to control and more often than not the sauce ends up burnt. What about browning the aromatics? I made a batch slow-cooking the garlic until golden brown. It was a no-go. The aroma of sweet, browned garlic is simply too overpowering in the finished sauce. A can of tomato paste also seemed like a good bet: tomato paste has already been cooked and concentrated, so frying it in olive oil in the pan will quite rapidly start to add a few of those browned, caramelized notes. It was a good quick-fix, and a technique that I'd use if I wanted a great red sauce in a short period of time, but canned tomato paste does have a tinny aftertaste that I wanted to avoid. What about roasting the tomatoes? I tried this two ways: roasting whole tomatoes in the oven until lightly browned before turning them into sauce, and roasting trays of pulped tomatoes in the oven until lightly caramelized on top—sort of like Daniel did with his recipe for tomato sauce made with fresh tomatoes. Both versions ended up tasting too much like a roasted tomato sauce, and not simply a good, rich red sauce. But the oven did give me an idea: when making rich meat braises in a Dutch oven like, say, a good Texas Chile con Carne or a Pork Green Chile, I'll start the dish on the stovetop, then transfer it to the oven, keeping the lid slightly ajar. This not only allows for some evaporation to control, but also allows for some very limited, very easily controlled caramelization and browning to occur on the top surface of the stew. Not only that, but because an oven is a constant-temperature device that heats from every direction as opposed to a stovetop burner—a constant energy-output device that heats only from below—it's actually much easier to perform gentle reductions in the oven, and it requires very minimal stirring. So would the same technique work for my tomato sauce? I fired up a new batch, bringing it to a simmer on the stovetop, then transferring the whole pot to a 300°F oven with the heavy lid cracked open by about an inch. Then I waited. And waited. Patiently. So, so patiently. About two hours later, I couldn't stand it any more—the smell wafting through the apartment was so good that I had to see what was going on inside that pot. I swept into the kitchen, narrowly missing tripping over the dog and took a peek inside the oven. My god, this looks good, I thought to myself. The sauce had reduced by about half an inch—there's definitely evaporation going on here—while a caramelized deposit was left around the edges of the pan. The surface of the sauce, in the meantime, was not brown, but it was a richer, deeper red than any sauce I'd seen made on the stovetop. I stirred the sauce, folding in some of the darker bits on the top surface and from around the edges, exposing new fresh sauce to the heat of the oven. In all, I let it cook for nearly 6 hours before it got to the point where it threatened to legitimately burn. Finally, I gave in and took a few tentative bites. I was floored by the amount of flavor the sauce had achieved. Deep and complex, naturally sweet and savory, it was by far the richest tomato sauce I'd ever had, though to be honest, I did miss some of the fresh tomato flavor that a quicker, stovetop sauce has. To solve this problem, I simply saved a few cups of tomatoes straight from the can and stirred them into the sauce after it finished cooking, giving me both jammy, caramelized tomato flavor, and bright fresh tomato flavor. Despite it all, just as I was about to crack open a beer and sit down to eat my red sauce from a bowl with a spoon, a nagging voice called from the back of my mind. Fish sauce..., it whispered. ...because umami, it added. Fish sauce (as well as anchovies) is a rich source of glutamates—an organic compound that triggers the sense of savoriness on our tongue. As it happens, tomatoes are also a darn good source of glutamates, which is why reducing a red sauce will give it an almost meaty flavor even if there's no meat involved. Should I? I found myself thinking, as I often do before I do something that I know is going to be a whole lot of fun but I might regret in the morning. I mean, it seems so wrong that it just might be right... Oh, go ahead. Do it. As usual, if I get into trouble, I can always blame it on thinking with my mouth instead of my brain. I reached for the bottle and stirred in a few dashes, as well as making a separate batch of sauce flavored with a few chopped anchovies cooked down with the garlic at the start. The anchovy-based sauce was fine, but I'd be damned if the fish sauce didn't work wonders for the pot, bringing out the savoriness of the tomatoes without creating any kid of off-putting aromas. Does the sauce need it? Nope. But does it make it better? I sure think so. To be honest, the sauce doesn't need much else. The tomatoes do most of the talking. A bit of salt and black pepper, a big drizzle of olive oil and punto. Finito. The sauce is so damn good on its own you'll have a hard time stopping yourself from going to town with a spoon hunched over the stove before anyone else gets a crack at it. If you want a last-minute flourish, you can dress it up with some herbs. I have a friend who grows a ton of his own vegetables in his Garden of Eden-style backyard in Berkeley. And despite (or perhaps because of) the abundance, he runs into the same problem with his pasta dishes: finish with parsley or basil? 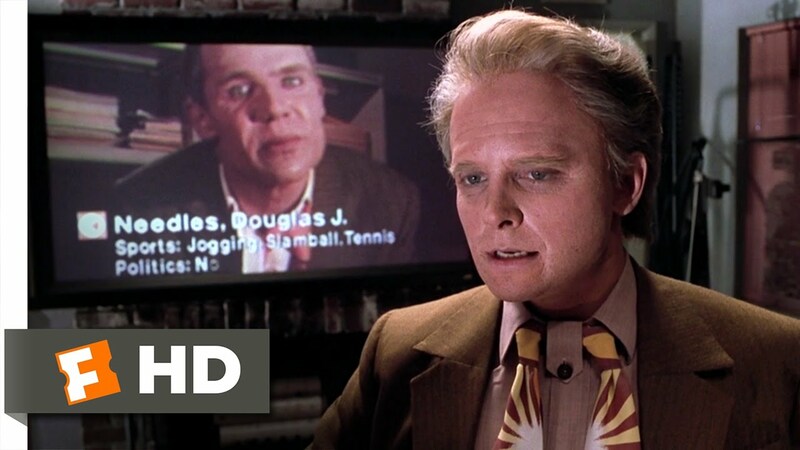 *OK, the analogy breaks down at the bit at the two ties bit, unless you believe in the Back to the Future prognosis. I always save a little bit of chopped herbs so I can do that casual herb toss just before putting the dish on the table to make it looks like it took no work at all. It's the carefully-coiffed messy bed-head look of the red sauce world. If you've been writing recipes and poking around the internet in my circles for as long as I have, you come to realize that Italians are the single most proud-of-their-food-culture group out there, and daring to rethink an Italian staple can land you in a lot of hot water if you don't respect its origins. I'd like to think that this sauce, while non-traditional in its techniques, is a sauce that any Italian would be proud to claim as his own, or at the very least, would concede that it's delicious despite its trespasses. And now I see that finishing up this sauce recipe was the easy part—my fridge is packed front to back with batches of red sauce. The hard part is gonna be finding enough things to put it on.